The WLBS World Women’s Snooker Championship 2018 will run from 14-17 March at the Dolmen Hotel, Malta. For the first time, the event will be contested as part of the WSF Championships, staged by snooker’s new International Federation the World Snooker Federation. The winner of the WLBS World Women’s Snooker Championship this year will receive a €6,000 first prize and all eight of the quarter-finalists will receive automatic entry into the WSF Championship, a mixed gender event, carrying a first prize of €10,000 and a place on the World Snooker Tour. This will be the first time that international amateur events are creating an equal opportunity for men and women to qualify for the tour. Last year’s event was won by Hong Kong’s Ng On Yee, who defeated both 11-time champion Reanne Evans and India’s Vidya Pillai in deciding frames during a memorable final day to capture the title for a second time in Singapore. There is currently a significant restructure ongoing in the interests of promoting greater participation and opportunities in snooker and billiards for the future. At the heart of this is the creation of the World Snooker Federation (WSF), a new International Federation for snooker based in Switzerland and supported by a range of bodies including the World Professional Billiards and Snooker Association, the European Billiards and Snooker Association. WLBS shares the vision of the WSF for global sports governance and earlier this year became a full member body. The top 30 players on the WLBS World Ranking list following the 2018 WLBS British Open will be eligible to be nominated by their national federation to compete. In addition to these players, each National Federation (NF) will be able to nominate up to FOUR additional players to compete. Only players representing National Federations who are members of the WSF by the event entry deadline of 1 March 2018 will be eligible to be nominated. ALL players must be nominated to compete by their NF who will enter players into the tournament. We therefore strongly advise all players to contact their NF as soon as possible to confirm their nomination. Any players nominated by their NF who are ranked within the top 30 of the WLBS ranking list will not count towards the four nominations available to each NF. If you are a player and wish to enter, we strongly advise you to contact your National Federation as soon as possible. For further information about the WSF Championships please click HERE. Mark Selby grabbed the headlines on the professional circuit last year as he completed a successful defence of his World Championship title to finish the 2016/17 season with a record-equalling five-ranking titles. 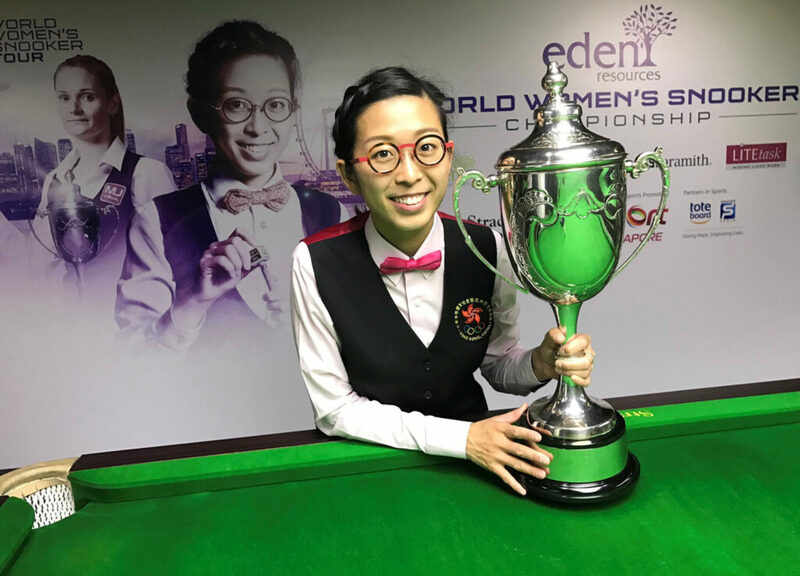 But the ‘Jester from Leicester’ was not the only player to enjoy a five-star campaign as Hong Kong’s Ng On Yee matched his feat on the WLBS World Women’s Snooker Tour, claiming five ranking titles of her own during the calendar year. The highlight for the 27-year-old came in Singapore as she defeated 11-time champion Reanne Evans and India’s Vidya Pillai, both in dramatic final frame deciders, to claim the World Women’s Championship for a second time. She quickly followed up her success by adding further world crowns at Six and Ten Red levels a month later to complete a hat-trick of titles. 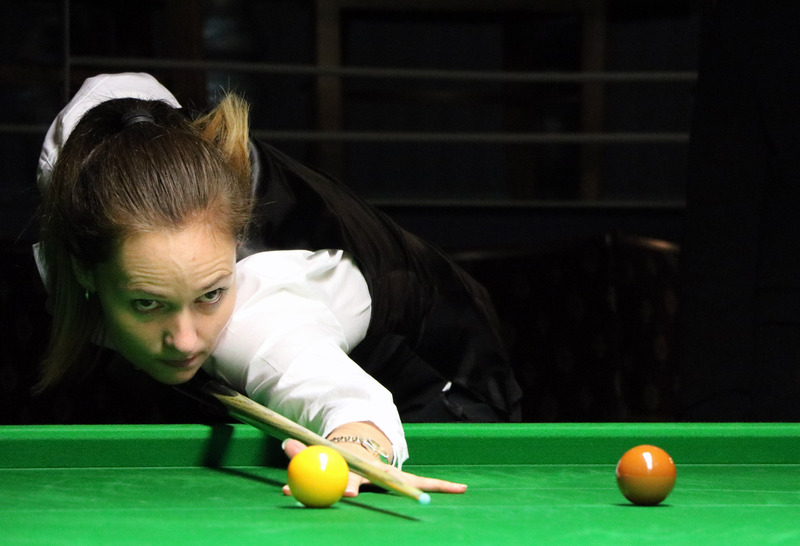 Although she lost out to Evans at the Paul Hunter Women’s Classic to start the new season, she quickly turned the tables with victories at the UK Women’s Championship and Women’s Masters competitions to complete a career-best year on the tour. Such is the extent of her success during the year that the second ranked player has put herself in with a chance to overtake long-term number Evans and become world number one for the first time if she can make a good start to 2018. 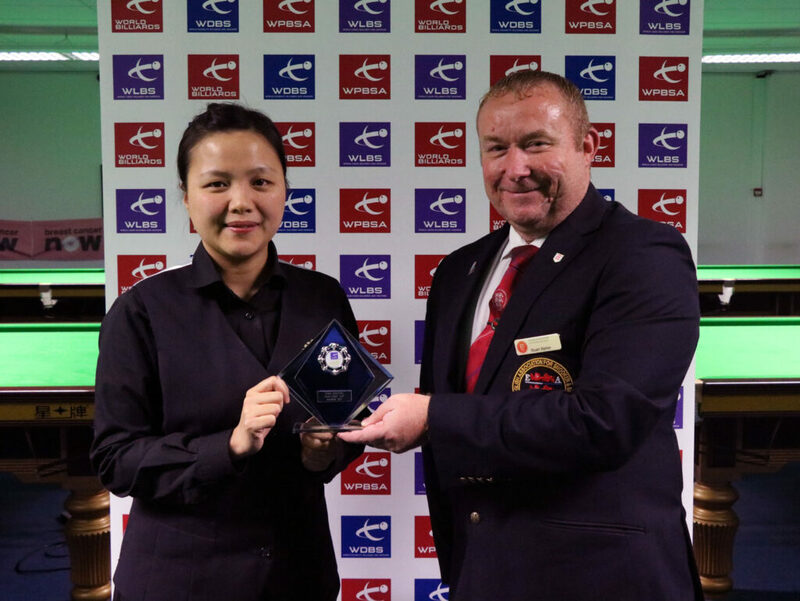 But for On Yee, while last year yielded the most silverware of her career to date, she firmly believes that the best is still yet to come with many years and challenges ahead of her on the green baize. “I always live by the following slogan: If you believe it, you can achieve it!” said On Yee. “2017 was definitely my best year by far. 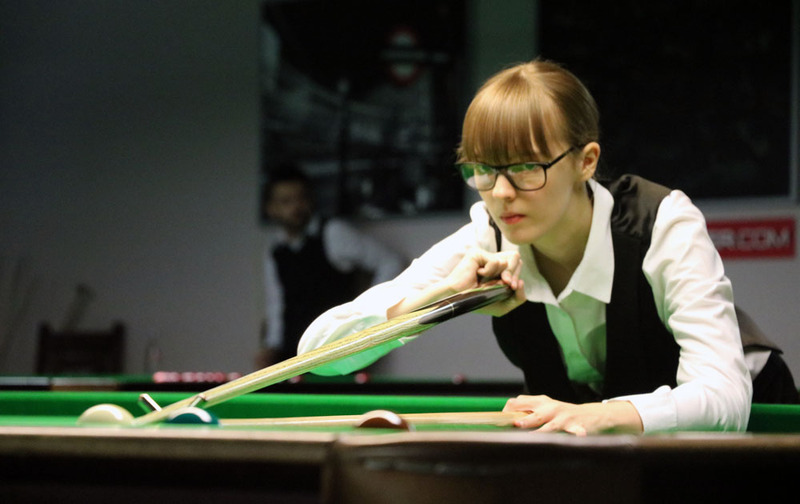 The 27-year-old began competing in WLBS events in 2011 and quickly climbed the rankings, scoring her first victory against top dog Reanne Evans on her way to winning the UK Women’s Championship for the first time in 2013. Her real breakthrough came however at the WLBS World Women’s Championship in 2015, when she ended Evans’ ten-year reign as world champion in the semi-finals, before going on to defeat Emma Bonney in the final to claim the sport’s biggest title for the first time. Such success has seen her become a bona fide sporting icon in her native Hong Kong, transcending her sport and being profiled in the internationally famous Elle Magazine. In 2016 she was named ‘Best of the Best’ at the prestigious Hong Kong Sports Star Awards, becoming the first non-cyclist to win the award for seven years. 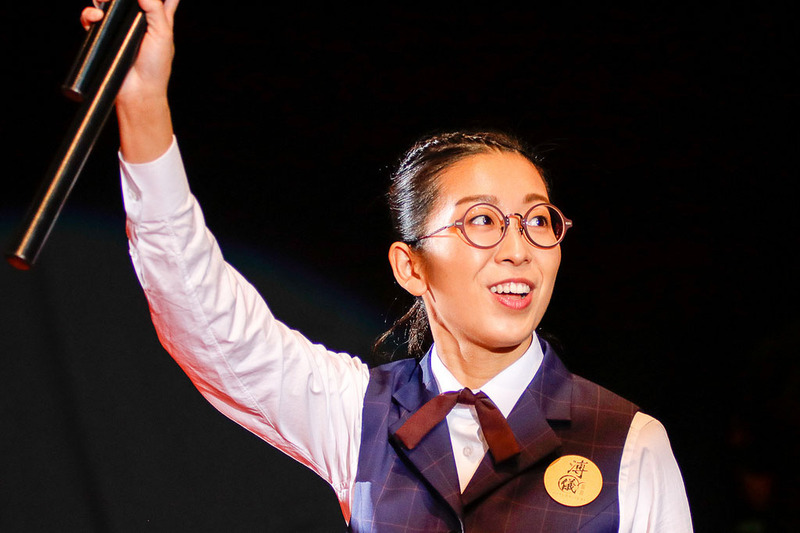 Last summer On Yee took played in exhibition matches against legendary figures Stephen Hendry and Jimmy White at the inaugural Hong Kong Masters, a ground-breaking tournament which attracted crowds of over 3,000 in her homeland and that On Yee hopes will return in the future. “It makes me very happy to see more opportunities and greater awareness for snooker in Asia, i.e. the Women’s World Championship being held in Singapore and the first Hong Kong Masters. In Hong Kong, we always have full support from the government and Hong Kong people. Tickets sold very well this year, meaning we have increased number of snooker fans. The World Women’s Snooker Tour will return next month with the WLBS British Open, to be played at the Stourbridge Institute on the weekend of 17-18 February 2018. World Ladies Billiards and Snooker (WLBS) has today announced that director Sharon Kaur has left the board. Sharon joined the board in 2014 and most recently served as WLBS Vice President and Sport Development director following the restructure of the body in December 2015 which saw the WLBS become a subsidiary company of the World Professional Billiards and Snooker Association. 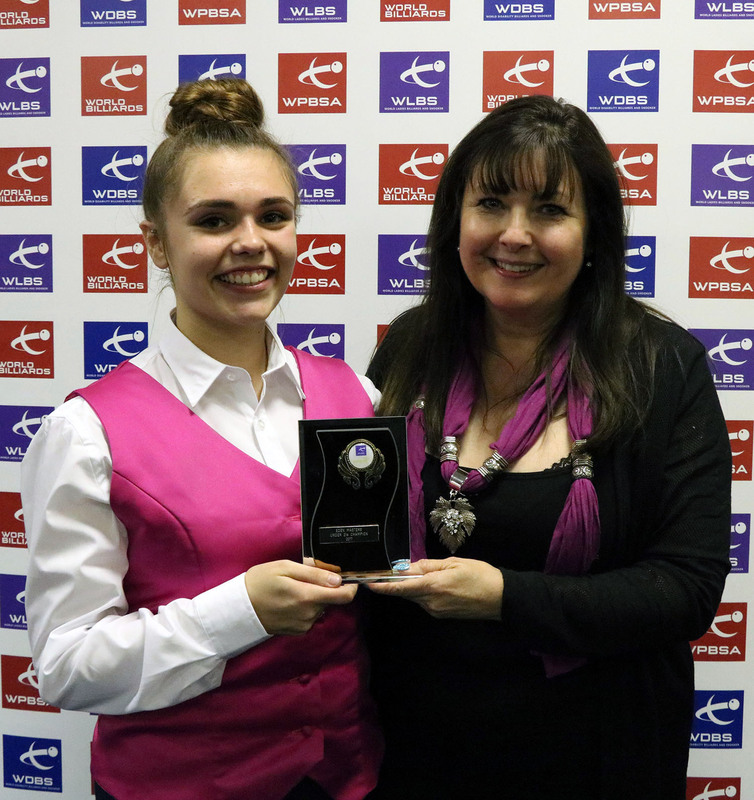 WLBS would like to thank Sharon for her contribution to the World Women’s Snooker Tour during the past three years and to wish her all the best for the future. We also look forward to welcoming her to future tournaments as a player. 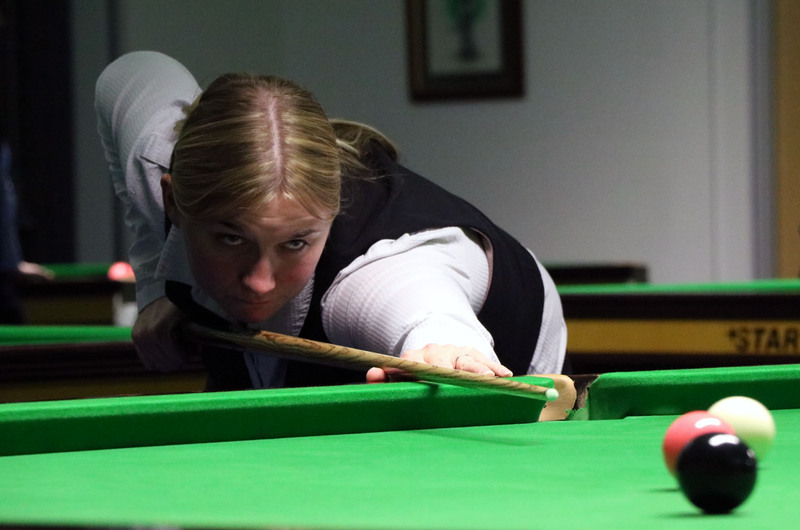 Earlier this year Reanne Evans became the first woman to win a match at the World Championship in Sheffield and snooker’s biggest female star admits that she would love to experience the ‘buzz’ of the professional circuit again on a regular basis. Dudley’s Evans describes her 10-8 win against Finland’s Robin Hull as the best win of her career ‘by far’ in particular because of how highly she regards the former Shoot Out champion as a player in his own right. “I class Robin as a top class player and much better than his ranking,” said Evans. “In our match I thought that he played well but I was just able to put him under a little pressure. “I was proud of myself for that win. It was great to hear comments afterwards like how I looked like a pro out there. It was the most comfortable I have felt playing, using the nerves to help me. Back in 2010/11 Evans was awarded a wildcard to compete on the professional circuit for a season but was unable to make an impact, despite coming close on a few occasions, notably taking then reigning world champion Neil Robertson to a deciding frame at the EPTC6 event. Nevertheless she enjoyed the experience and would love the opportunity to compete once more against the best players in the world on the open tour. “When I was on tour I didn’t win a match,” explained Evans. “But I learned so much and my game improved loads. Being on tour just gave me another lease of life and was something different and new to try. It also gave me the chance to prove points to myself in some ways. While she has occasionally had the opportunity to compete on the open tour, the 31-year-old has remained a constant force on the World Women’s Snooker Tour which she has dominated since claiming the first of a record 11 WLBS world titles to date in 2005. 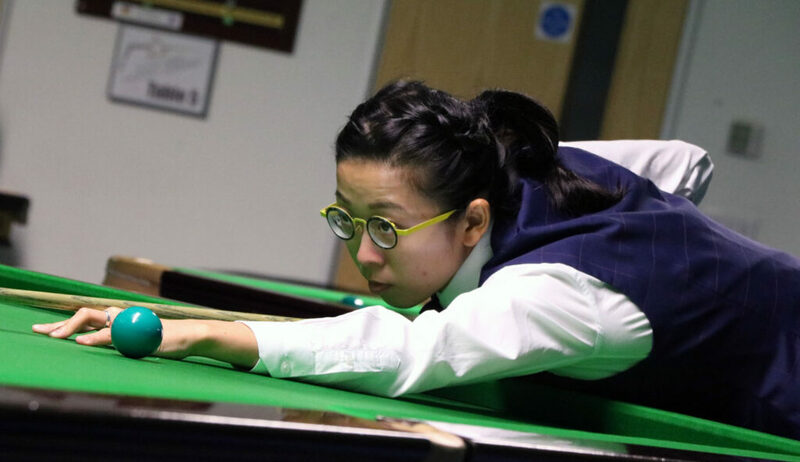 She started the 2017/18 season in familiar fashion by claiming a dominant victory at the Paul Hunter Women’s Classic in Germany, defeating Ng On Yee 4-1 in the final before the Hong Kong player turned the tables to win by the same scoreline at the LITEtask UK Championship in October. “It has been a good start to the season,” continued Evans, who is currently supported on tour by Elite Studio 147, the Blade Cue and World Seniors Championship organiser Jason Francis. “Obviously I try to win everything I enter, but I haven’t been playing great for a while now and I have been suffering with a neck injury recently so have got to be pleased with my results. 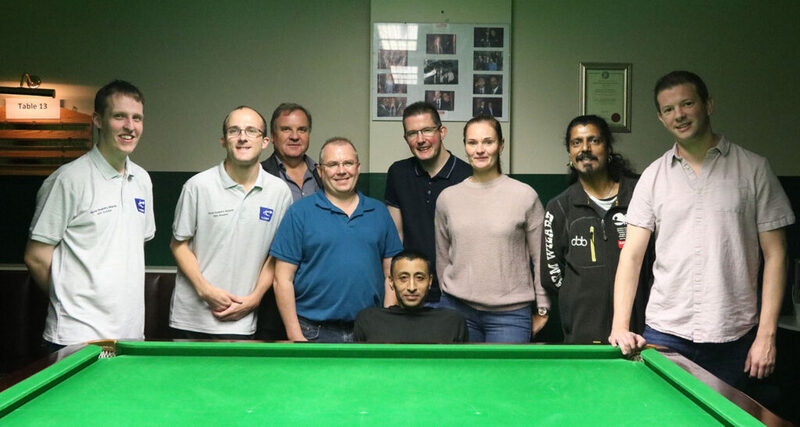 Earlier this season Evans took time out to visit the Open Disability Snooker Championship organised by World Disability Billiards and Snooker at the Golden Cue in Bilston, England. People with various disabilities were thrilled to meet the player widely recognised as the sport’s greatest ever female player who was impressed by what she saw. “I must admit that when I went to see the WDBS tour I had no idea what to expect,” continued Evans. “When I walked in and saw players with all different types of disability knocking balls in on off the lamp shades, just being generally happy to be there and loving playing, it really opened my eyes. The official WLBS world women’s ranking list has now been updated following the concluding event of the season, the LITEtask Festival of Women’s Snooker in Leeds, England. The WLBS world rankings operate on a rolling two-year basis, with points earned during the 2014/15 season having been removed during the course of this season. With no remaining points to be deducted however, no points have been removed from the ranking list following the Festival, which has seen points added to the total. It has been the perfect week for second-ranked Ng On Yee, who with victories in both the 6-Red and 10-Red competitions in Leeds has slashed the advantage of world number one Reanne Evans by more than half. With the 11-time world champion in competition at the professional Betfred World Championship and so unable to compete at the Festival, On Yee has reduced Evans’ lead from 15,300 points to just 5,300. Elsewhere, there is just one further change within the top 10, with the newly married Rebecca Kenna (née Granger), achieving a new career-high of sixth position, switching places with Latvia’s Tatjana Vasiljeva. Not involved in either competition carrying ranking points in Leeds, Vicky Shirley drops three places to 15th, but it was a strong week for Emma Bonney who has climbed 11 places to break into the top 20 at 19th. Comparing the rankings to the start of the season, the biggest winners are Laura Evans and Rebecca Kenna, who have climbed from 12th and 21st positions, to fourth and sixth respectively. Junior players Shannon Metcalf (13th), Jeong Min Park (18th) and Aimee Benn (20th) have also seen significant rises to climb into the top 20, while Claire Edginton is close behind in 22nd. Paula Judge, Heidi de Gruchy and World Championship runner-up Vidya Pillai have all finished the campaign inside of the top 30, despite having not competed during the previous season. Among those to have dropped places, Jaique Ip Wan In has fallen six places from third to ninth, while Jenny Poulter and Vicky Shirley have both dropped out of the top 10 since the start of the campaign. The updated ranking list will be used to determine the seedings for the opening event of the 2017/18 season. The draw for the group stage of the 2017 Eden Women’s World Championship to be held at the Lagoon Billiard Room in Toa Payoh, Singapore on 13-19 March 2017 has now been made. 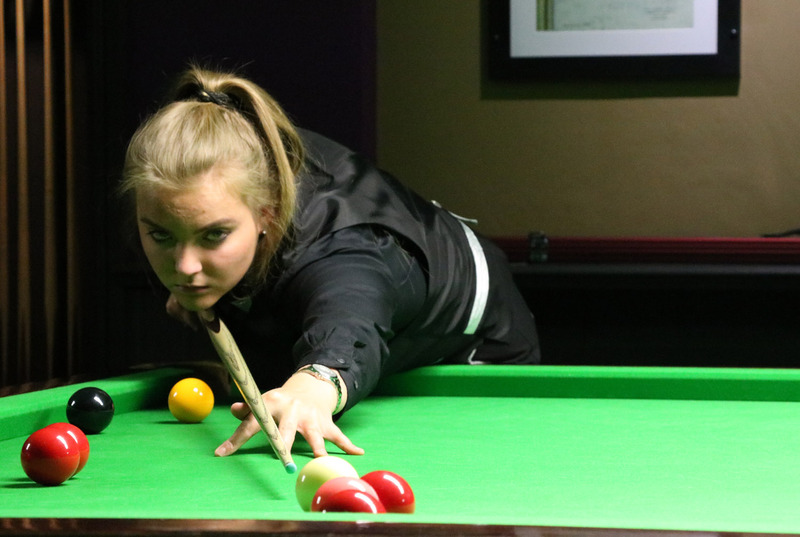 Of the 32 entrants, the top eight players in accordance with the updated ranking list following February’s Connie Gough Trophy have been seeded and kept apart during the group stage. In a draw carried out by tournament hosts Cuesports Singapore, the remaining players have been drawn into the eight groups, with players of the same nationality drawn apart. Two players will progress from each of the groups and will be seeded into the knock-out draw in accordance with their results during the group stages. Eleven-time world women’s champion Reanne Evans has been drawn in Group C and will open her latest title defence against international opposition in the form of Suniti Damani (India), Hoe Shu Wah (Singapore) and Nutcharut Wongharuthai (Thailand). Asian number one and 2015 world champion Ng On Yee will face India’s Chitra Magimairaj, winner of the seniors competition at the 2016 World Women’s Championship, as well as Singaporean number one Charlene Chai and Ireland’s Ronda Sheldreck. In total players from 10 different countries, including a mix of WLBS newcomers and some more familiar faces, will compete to claim the most prestigious prize in world women’s snooker this year. The event will be formally launched on Sunday 12 March 2017 with a pre-tournament reception at the iconic Marina Bay Sands building, ahead of the start of play the following day.